Improving is honored to be featured on the Dallas Business Journal Best Places to Work list for the 8th year in row. Out of over 500 applicants, only 101 companies were chosen. To become a Best Place to Work, companies must exhibit a strong commitment to culture. Employees are given an anonymous survey about work culture and company perks to measure engagement and team dynamics. The year 2017 marks the 15th anniversary of the DBJ Best Places to Work Award. To celebrate, DBJ went big and held the awards ceremony at the Dr Pepper Ballpark. 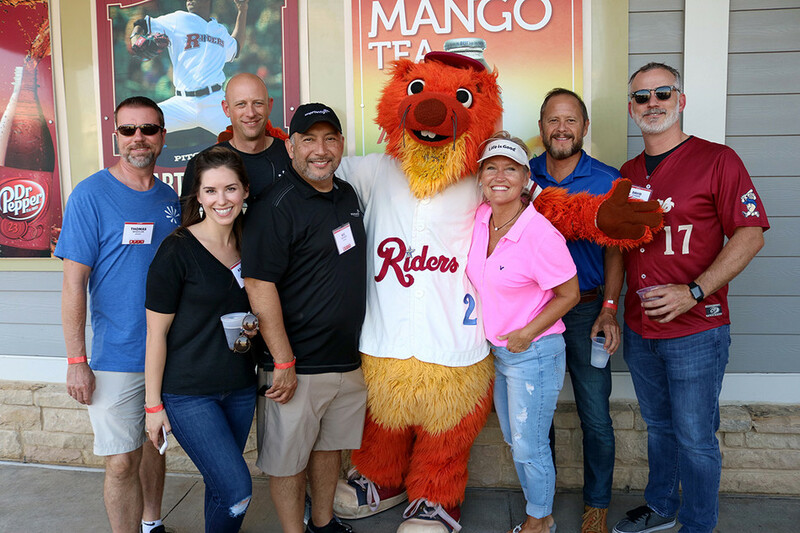 On September 21st, companies made their way to the home of the Frisco RoughRiders to hear the final rankings. Improving came in at #21 in the Medium category. Jason Wheeler, the evening anchor for the local Channel 8 News, emceed the event, announcing each category atop the RoughRiders dugout. 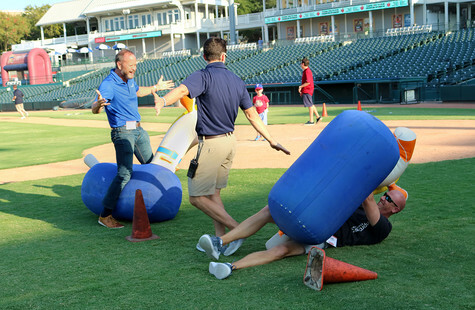 Throughout the ceremony, attendees were able to walk onto the Frisco RoughRiders' baseball field and play games such as giant jenga, fast pitch and corn hole. 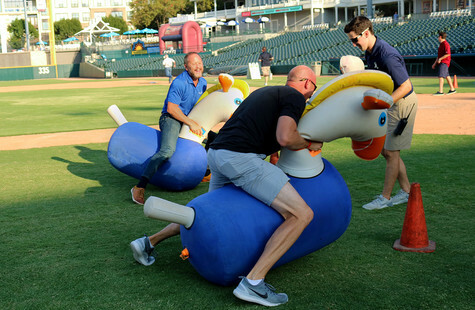 The "Hop Along Horse Race" found popularity with our Improvers. We are proud to be named a Best Place to Work for 8 consecutive years, and honored to be featured along many great companies that share a commitment to culture.